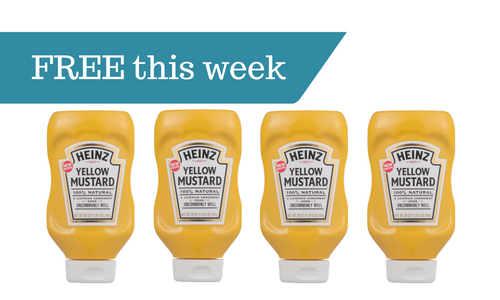 This week grab completely FREE Heinz Mustard at Publix! You can actually get up to 5 bottles for free (that’s a lot of mustard though). They are on sale Buy One Get One making each bottle 99¢ after the sale. Grab up to 5 bottles and then come home and submit for $1 back on each bottle from Checkout51. These are super easy to submit for using the Checkout51 app or website. See all the other deals at Publix this week.